What's More Secure: Pattern Lock or a PIN? 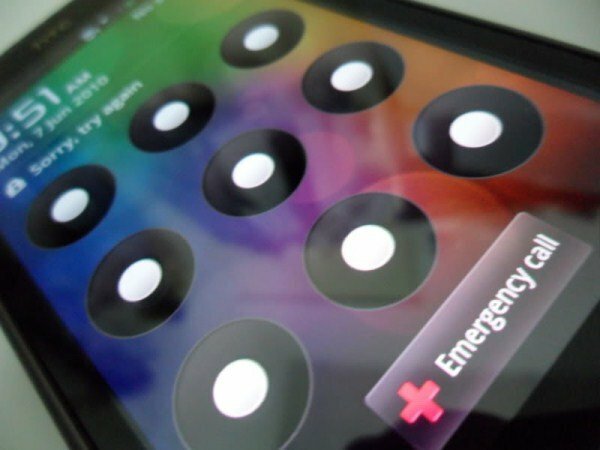 Swiping a pattern lock may feel fun and futuristic, but is it actually a secure way to protect the data on your phone? What about compared to a PIN number? The question was posed recently on reddit and the answer may surprise you. Each number of a PIN has 10 different possibilites (obviously). Android allows a maximum of 16 PIN digits, compared to only 9 pattern intersects. But even if a user only uses 9 numbers in lieu of 9 pattern intersects, the possibility of someone entering the right PIN without knowing it is infinitely smaller. Basically, if you use all pattern intersects, the possibility of someone guessing the right pattern is 1/362,000 while the possibility of guessing the right PIN is 1/1,000,000,000. The conclusion: even if your PIN is quite short (9 characters), it offers infinitely superior security compared to pattern unlock. Swiping also leaves a trail of finger prints along your pattern's route. But it is more fun, in my opinion, than entering in a series of numbers, as it makes you feel like you're living in the future. What do you think? From a mathematical point of view, Pattern Lock offers more combinations than possible PINs, but the "dot" drawing is more complex, the harder it is to keep in mind. Also, the 4-digit PIN is also quite simple, preferably 6-8 digits. Your analysis would be correct, if complexity was the only consideration. However, there are several other things you need to consider. 2. Which is going have fewer mistakes entering. e.g. If you have to enter one method multiple times, others are going to have more chances to copy it. 3. Which absorbs more of your attention when entering. e.g. The more observant you are to your surroundings, the more likely you are to notice someone watching you. Also the less likely you are to get yourself killed stepping out into traffic or such. BTW. I've never seen anyone use a pin as long as 9 digits. Most people use 4 to 6 digits... If someone uses something longer, it is probably a phone number or such that will be easier for someone to guess than the short pin.